Wifestyles Blog & Photography: SPD- Heart Garland & A Giveaway! 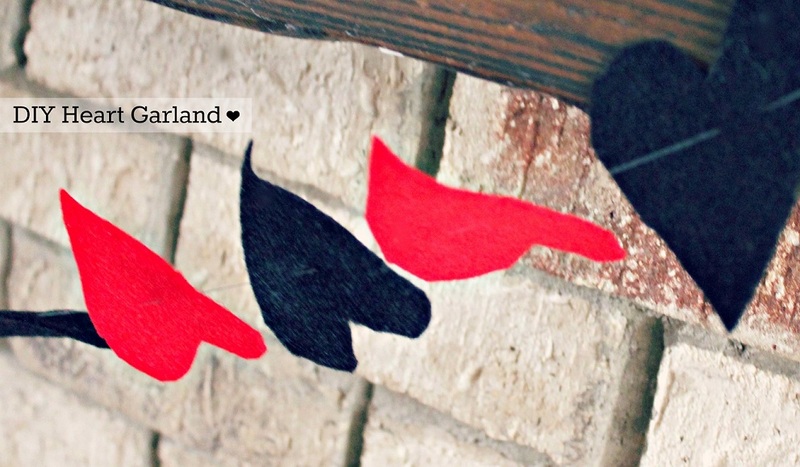 SPD- Heart Garland & A Giveaway! I'm so excited to share with you guys today! Today you get a two in one deal! An easy, DIY Pinterest craft tutorial PLUS a GIVEAWAY! :) Thanks to my amazing sponsor Wood n' Expressions! 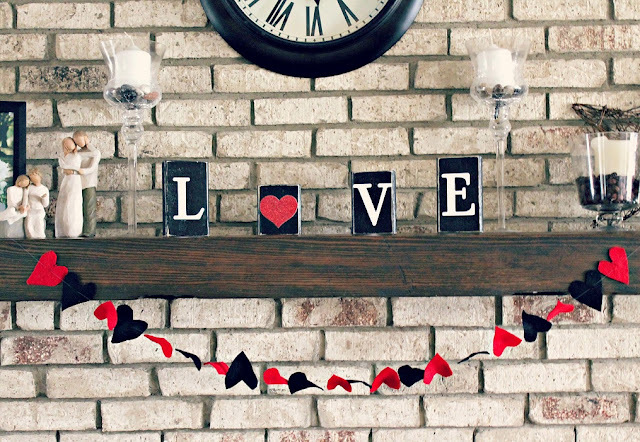 Her LOVE blocks are absolutely adorable and SO perfect for Valentine's Day! Not only are they fabulous but they're also very affordable! I knew when the blocks arrived I had to make matching heart garland to go with! :) Needless to say our mantle is set for V-day! I originally got the Heart Garland idea from this PIN but decided to switch up the colors to match my blocks! This craft literally only took me 15-20 minutes to do! I swear... there is really no more details needed! It was THAT easy! Are you guys excited to win these blocks??!!! For more from her Etsy shop click HERE! Those are so cute :) I am a GFC follower! I am a fan of Wood N' Expressions on FB! I am a Wifestyles fan on FB! And I follow you on Instagram :) I'm going to have to make the garland. I love it! I liked Wood n' Expressions on Facebook as well!! :) so pretty and festive!! love it girly. and again, loving that you have been linking up! I follow you on instagram as well!!! Love all the pictures!! I'm also a fan on FB! & of course I follow you're fabulous blog! So cute! I pinned something similar but I hadn't thought of just using string to attach them- love it! Thanks for following my blog today! Just wanted to let you know I was following back! Love your blog, you and your hubby are super adorable! I like Wood N' Expressions too! Oh my goodness this is ADORABLE!! You are so cute! Those blocks are the cutest! & your little heart garland is so adorable.